The Landsharks Band at Margaritaville! 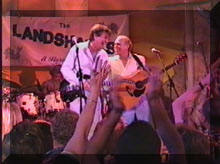 After performing with The Landsharks, Jimmy Buffett hired The Landsharks to be the house band at Margaritaville! 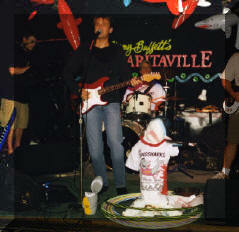 Landsharks Band is pictured below performing at Jimmy Buffett's Margaritaville Cafe in Key West. 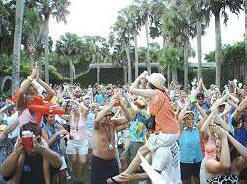 The Landsharks played Jimmy Buffett's movie ("Hoot")'s celebration party! 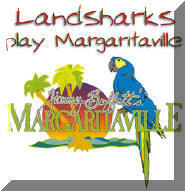 The Landsharks can perform at your Margaritaville party! 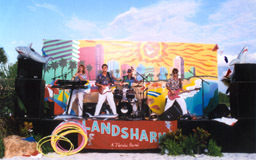 The Landsharks Band is Pictured below onstage at Margaritaville, Orlando, Florida. The Landsharks Band is pictured below performing with Jimmy Buffett at Margaritaville, Orlando, Florida! 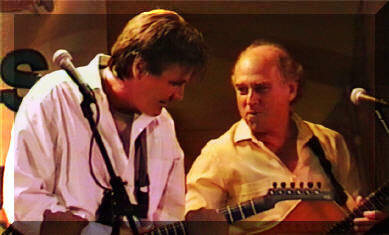 Gary Roland with surprise guest Jimmy Buffett at Margaritaville, Orlando, Florida! 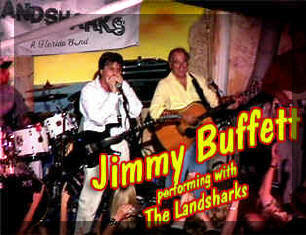 The Landsharks Band is also a Jimmy Buffett Tribute Band and plays Jimmy Buffett tribute shows all over the world! The Landsharks Band plays at Jimmy Buffett's Margaritaville in Key West! The Landsharks Band is a Jimmy Buffett Tribute Band that plays Jimmy Buffett Tribute Shows all over the world! You never know when Jimmy Buffett might show up and join the band onstage......Jimmy often shows up, and winds up being kidnapped by the band for a few songs! Click HERE to find out why you should book the Landsharks to play your Margaritaville Party!